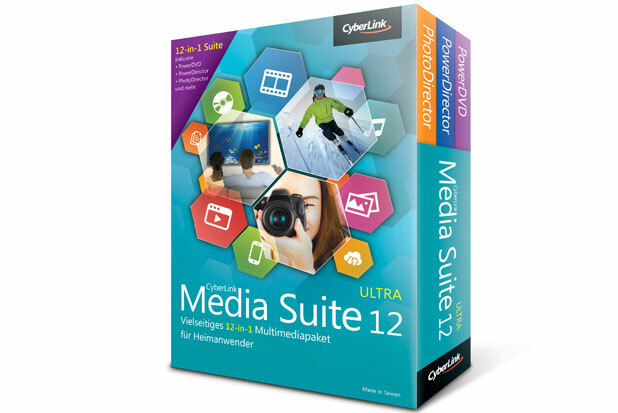 With CyberLink Media Suite 12 Ultra, you have a complete set of software to CREATE, PLAY, BURN, CONVERT and SHARE your media at home or school. Featuring CyberLink’s collection of multi-award winning video and photo editing & playback software, Media Suite 12 Ultra truly is the best value multimedia collection for home & school. The Ultimate Playback Experience for Movies, Photos and Music! The only Media Suite that lets you truly enhance your home theatre experience. Immerse yourself in rich, crystal clear media wherever you are. Convert media to play on your portable devices, so that road trips are no longer a bore. Effortlessly organize your media library so that you can always find the photo or video you want. Enjoy your favorite movies with theater quality 5.1 channel surround sound, including 5.1ch DTS, DTS-HD, Dolby TrueHD and more. Experience stunning picture clarity with the ability to play UltraHD 4K, H.265 (HEVC) and many more video formats. Play virtually any video, audio or image format with PowerDVD, the only media player for your home theatre. With CyberLink’s TrueTheater™ enhancements you can upscale your DVD, or even YouTube videos, to superior HD quality. Convert media files from your PC or laptop to play on your portable devices fast. It’s never been easier to convert media, with pre-configured profiles for over 100 of the latest smartphones, tablets and portable players. Effortlessly organize and find all your personal photos and videos, create outstanding media slideshows, and share your media content quickly on disc. Have all of your media at your fingertips with MediaShow. Turn Your Videos & Photos into Unforgettable Memories! Create stunning UltraHD video of your latest holiday, or school play. Enhance group photos from birthday parties. Combine videos and photos to produce outstanding slideshows that tell amazing stories. With support for the latest media formats, including stunning UtlraHD 4K, PowerDirector lets users create crisp media content anytime. Native 64-bit support, and TrueVelocity 4 technology mean that your video editing is faster and smoother than ever before. With a host of intelligent tools for quick, powerful editing, and an intuitive interface, you can be creating compelling videos in moments. Create titles, menus, PiP motion, and particle effects in a full screen editor, and accurately control with timeline, to design animation effects. If you need more free effects, PiP, templates and color presets to make your videos unique, or if you want more tips on using PowerDirector, you can always find free resources that are contributed by video creators all over the world on CyberLink’s DirectorZone. With over 4 million members, and over 400,000 effects available, it’s the world’s largest video creator online community! Upload & share your photos and slideshows direct to YouTube and Facebook. Easily apply adjustments to your photos with easy-to-learn tools. Correct White Balance, Tone, Saturation, HSL, Brightness and more. Create brilliant slideshows featuring your favorite photos. The perfect way to share your holiday photos, or family albums. Share your awesome photos and slideshows with friends, family or followers instantly. Upload directly to YouTube or Facebook. Backup your data to disc for peace of mind. Rip music and make copies of your discs. Ensure that you never lose you data, photos, videos, or anything else digital that matters to you by backing them up to disc. Share your collection of holiday memories with your family and friends on DVD, with creative case designs or disc covers. CyberLink LabelPrint is label making software that lets you design and print stylish CD/DVD labels in 4 easy steps. Just select your template type, disc information, text layout, background image, and print destination. LabelPrint supports a broad range of templates from leading label brands. The Easiest, Most Powerful, Most Advanced Multi-Award Winning Suite!